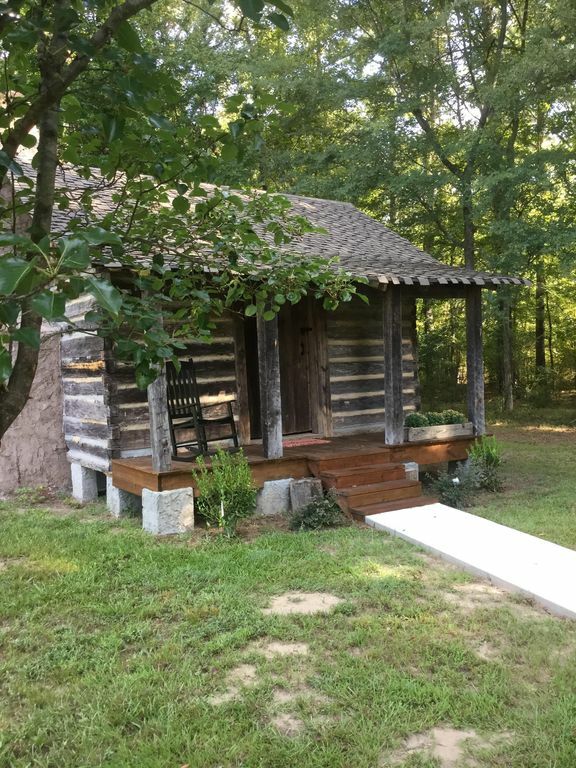 Come take a step back in time and relax in our 186 year old historic log cabin. It is an original structure to our farmstead with added modern conveniences. Whether it's a quiet evening on the porch, a dip in the pool at night under the stars, or coffee with the animals, you are sure to enjoy your stay at our farm as you experience life in a cabin as it might have been in the early 1800's. Our historic cabin can sleep 2 comfortably. There is a full size bed (remember folks, those big beds didn't exist back then), but ours are comfortable! The sleeping arrangement is one bed in the main area of the cabin. The cabin features a full kitchen and quaint bathroom with a shower. As a guest at our farm, feel free to roam around. The entire farm is yours. You may enjoy the pool at any time, mingle with the animals or relax on the porch of your cabin.